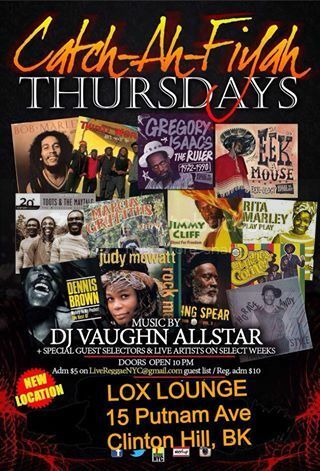 Reggae & Conscious Dancehall networking mixer for people who want to meet, drink, mingle, listen & dance to great music! Indoor/Outdoor venue. Top area sounds featured weekly spinning 70's - the latest! DJ Rich, Vaughn Allstar, DJ Milo, Top Cat, Jah Beanz and many others rotating weekly! Bar specials til Midnight, delicious food $5 menu. *1st Thursdays: Queen Majesty Night - Ladies FREE untill 11:30 PM. *3rd Thursdays: Celebrity Red Carpet!